The Exell Battery A134 1409A 6V Alkaline. 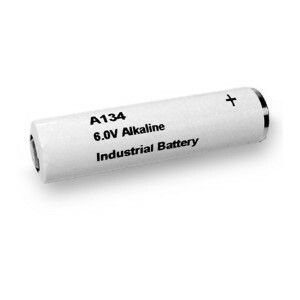 Is a great replacement for the Eveready E134N. It is used in Pioneer Electric and Research Corp’s portable tachometers, such as the Pioneer Photo-Tach Model 36. It is also used in other industrial applications (photographic, pager, instrument, electronic, test equipment, and more). This A134 replacement produces 6 Volts, which is a little higher than the 5.6V produced by the original mercury version. Most devices accomodate the small increase in voltage and function perfectly. This battery model is commonly used in Microphones, brands from Sony.